Wednesday December 7th, 6:30 p.m. – 9 p.m.
Planning has started for World Fiddle Day Toronto 2017! May 20, 2017, at the easily accessible Aga Kahn museum! Plans include an evening concert of 6 amazing guest artists, two workshops in the morning with our guest artists, the around-the-world jam in the afternoon with our fabulous house band! At the meeting we’ll review next years’ plans, and we’ll ask for your ideas and input. We’ll be asking for volunteers to make WFDT 2017 run smoothly. We will even have a few tunes to round off the evening, so bring your fiddles and books from last year. 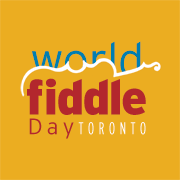 World Fiddle Day Toronto is organized by a volunteer Board with the artistic direction by Anne Lederman, Folk Music Ontario’s 2016 Estelle Klein Award winner! 2016 World Fiddle Day Toronto received excellent press reviews, and some great photos and press from World Fiddle Day 2016. Read more about the beautiful Aga Kahn museum. The Aga Khan Museum is wheelchair-accessible. Drop-offs at the street-level entrance can be made prior to parking. For more information, see parking or please email: information@agakhanmuseum.org.